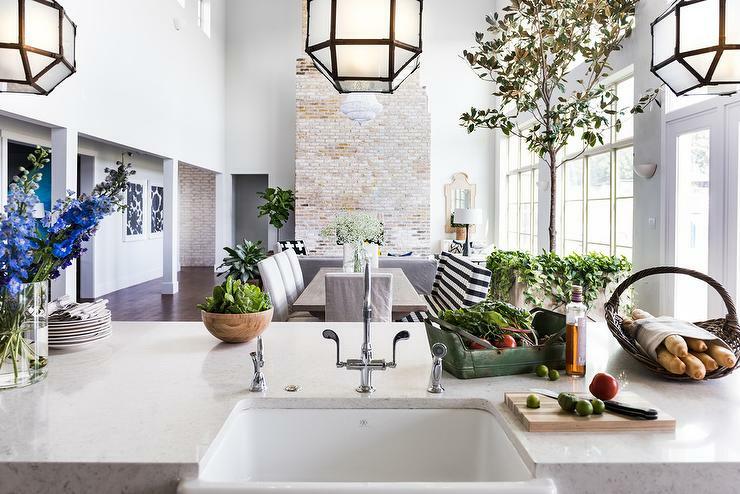 This is probably the most BEAUTIFUL aspect of the farmhouse look – the kitchen! You can just do little touches like exposed wood beams or go all in for a big farmhouse remodel. For a backsplash, consider unique white tile patterns or rustic brick. When you considering updating your cabinetry go with white, or gray. If you don’t want to spring for new cabinets consider painting a vintage blue or white to make them pop. When it comes to flooring, you can’t go wrong with wood floors or wood tiles. It goes well with any farmhouse look. Lastly, kitchen countertops can be versatile using wood countertops or clean slab countertops. You can really have fun here and let your own personal style shine! This is the easiest farmhouse element to add. 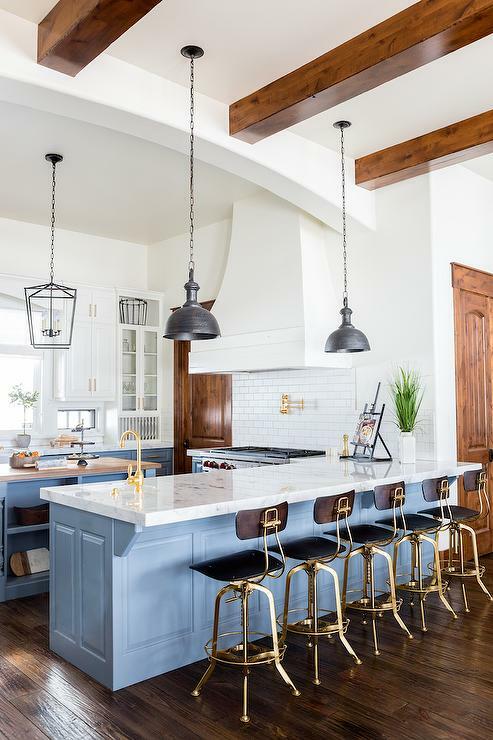 You can’t go wrong with Iron lighting fixtures or pendant lighting. You can go subtle or use bigger statement fixtures depending on what your personal style is. This is the most fun aspect of the farmhouse style homes! That’s because you can really be playful with the items you use as decor. Use old ceramic or glass milk jugs as planters, refinish used wood pallets to be wall decor or a DIY coffee table! Do you love iron wall decor? That works too. The great thing about farmhouse decor is that you can mix and match a number of different style and it all works! Did we inspire you to make a few remodels around your home? Want to see if the farmhouse style could work in your home? Give Alan a call for a consultation. Let him give you a few ideas and get started!